The Holiday Inn Reims Centre is a modern 4* hotel, offering accommodation in a convenient central location, less than 50m from the main square, and just 500m from the SNCF station. It is ideal for exploring the cultural district and the surrounding areas. 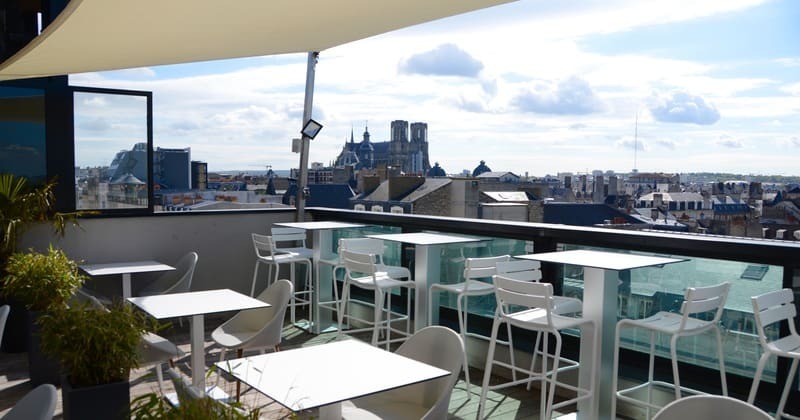 The Hotel also boasts a roof-top restaurant and terrace on the 7th floor with arguably the best views over the Cathedral and across Reims. The Hotel is situated in a fantastic location, just minutes from the centre of Reims, near to the historical district and of course the wonderful Cathedral, where French Kings were once crowned. The hotel is close to bars, restaurants and general amenities. 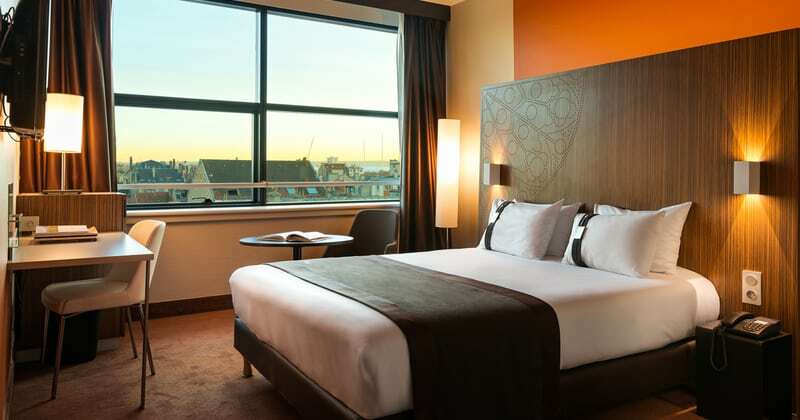 The Holiday Inn Reims Centre, with its 82 stylish rooms, has a range of modern facilities to ensure the comfort and enjoyment of guests’ breaks. 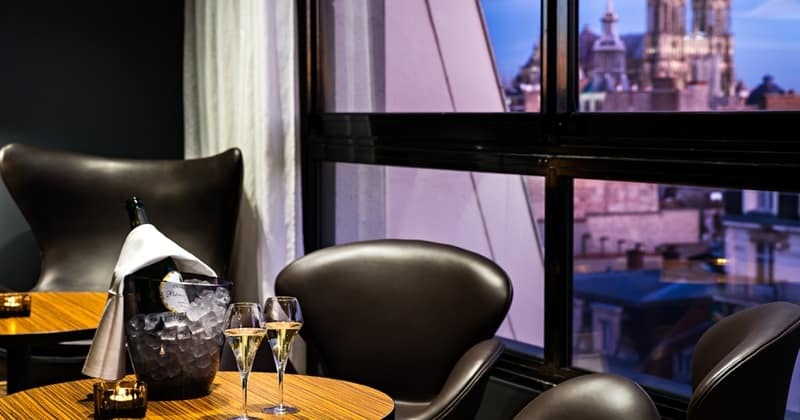 Taking the glass-sided panoramic elevator to the hotel’s restaurant means you can enjoy breakfast whilst appreciating the breathtaking views of the legendary Cathedral and the town beyond. The contemporary meeting rooms make it a great venue for corporate events. The Holiday Inn’s Superior grade rooms offer all of the habitual comforts of a 4 star rated property. Each room is comprised of spacious and comfortable living space and a private bathroom. All rooms are air-conditioned and are equipped with cable television. Guests will also have access to a mini-bar and tea and coffee-making facilities. All rooms were renovated in 2012.